This post isn’t quite a review, it’s just a quick picture to share my first experiment with clip-in hair extensions with you. I have been sent a set of Salon Confidential extensions recently and got around to having a proper play with them at the weekend. So far, I’m impressed with the colour match and they are pretty easy to use. Of course, since they are synthetic, they do shine alot more than my natural hair under a flash. I need to have a proper play with them before I would be brave enough to leave the house – but so far they are part mermaid, part footballers wife and A LOT of fun. I couldn’t stop swishing my hair in the style of a L’Oreal shampoo advert whilst I had them in. Oh, and please excuse the make-up free face (other than a bit of mascara that is). These extensions were sent free of charge for review. All opinions are honest and my own. haha! wonderful analogy! it looks a bit “barbie hair-ish” with the flash but it does look very pretty! i want to try something like this out because i can never wait long enough to grow my hair long enough. Long hair looks great on you! The synthetic bit is a touch of a downfall though. How much do these retail for? Love the wave to them, shame they’re synthetic though! Wow, Awesome hairstyle!!! Everyone wants stylish and lovely hair. Long hair looks beautiful. My hair is also straight and I’m really tired of straightening it all the time. 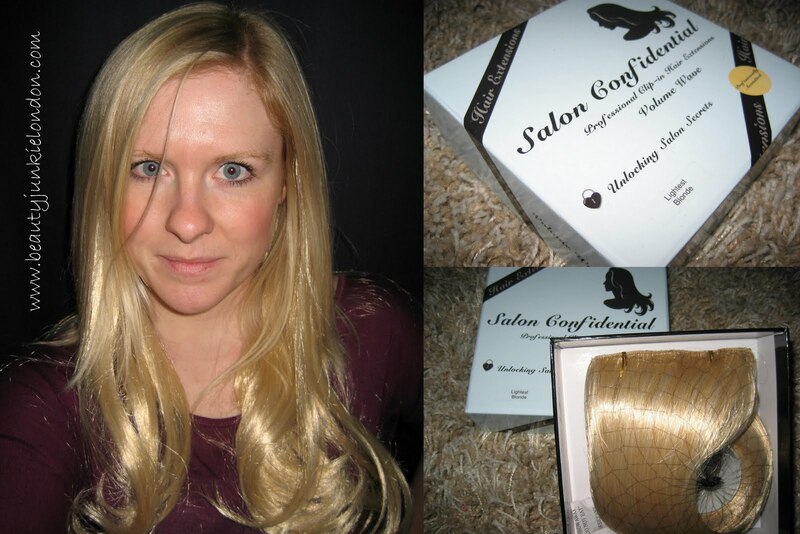 wow,you first time apply the clip-in hair extensions?Well,not bad! What colour is this you have chosen?